GPS is one of those amazing technologies we use every day and kind of take for granted, allowing us to navigate our hometowns and any other destination without really having to think about it. 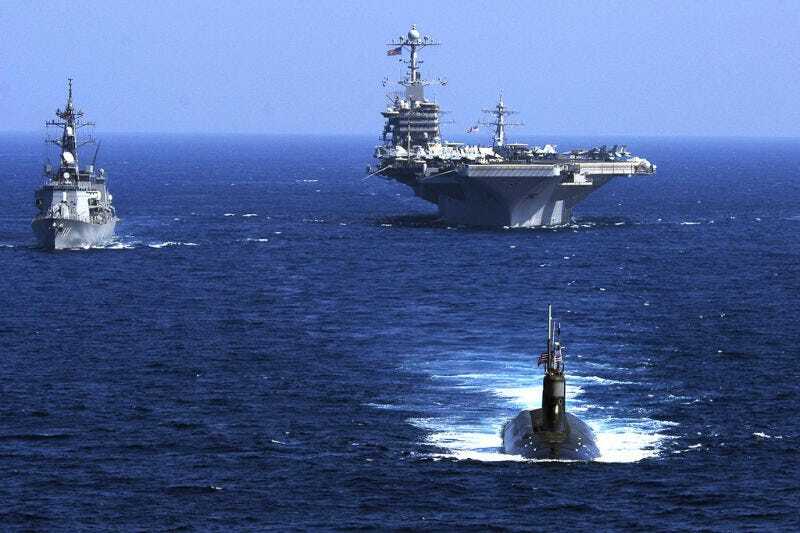 But what many people don’t realize is GPS signals don’t penetrate seawater, making the already difficult act of undersea submarine navigation—and threat-mitigation—that much harder. For this reason, the Defense Advanced Research Projects Agency, the Pentagon’s agency tasked with developing emerging technologies, and defense supplier BAE Systems are trying to figure out how create GPS-like technology that works in the deep ocean called Positioning System for Deep Ocean Navigation, or POSYDON, according to defense website Warrior. There’s just one catch: it is very difficult to produce an underwater navigation system based on GPS, so scientists pretty much have to create a new one. GPS is a space-based radio wave system that operates on electromagnetic waves that move through the atmosphere. Between satellites in space, cellphone towers around the world and our cellphones or tracking devices in our cars, those waves can easily reach us. There are some GPS radio systems that can work in shallow waters, but DARPA wants to go into the deep ocean with submarine drones. Submarine navigation is one of the most complex and dangerous ventures in the military because, to get a precise location on one, the vessel has to eventually emerge from the water to catch a radio signal. Even access to a GPS can be blocked by enemy jamming. Currently, submarines are outfitted with a “very large and very expensive inertial measurement unit,”Niedzwiecki. says. It basically remembers the submarines last known location and keeps track of its diving depth and forward movement. This, of course, is not the nearly as precise as a GPS system. Perhaps a number of small drones could send out an acoustic ping and then analyze the return signal to pinpoint the location of a threatening enemy target, providing a submarine with the necessary data to launch a precision-guided heavyweight torpedo to destroy the threat from a safer distance. Integrated drone groups would then instantly relay pertinent data to underwater or ship-board computing systems and sensors. As a result, humans in a command and control function would have access to relevant information faster and more efficiently, providing a larger window with which to make critical decisions, senior Navy officials explained. Last year, former Defense Secretary Ash Cater allocated more than $600 million over the next five years to underwater technology development, including POSYDON. The POSYDON project is expected to take five years to get the technology down, but, as is the case with projects like these, it could take longer. POSYDON is still in its earliest phases. The first stage is designed to make sure the project is even feasible. Once it goes through that process, the second phase will focus on developing a wave form that can work underwater. The final phase will be devoted to developing a new positioning system underwater. It is not clear if DARPA and its industry partners will be able create a feasible path for POSYDON, but it certainly would cement America’s hold on being the world’s most advanced Navy.